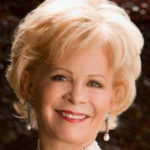 Soprano Alison Acord has performed more than 40 operatic roles in the United States and abroad. 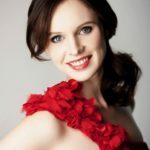 She has received critical acclaim as the title role in Ariadne auf Naxos. Her operatic repertoire encompasses other roles such as Lady Billows in Albert Herring, the Mother in Hänsel und Gretel, Alice Ford in Falstaff, Mimì in La Bohème, Micaëla in Carmen, La Contessa di Almaviva in Le nozze di Figaro, Hanna Glawari in The Merry Widow, and Fiordiligi in Così fan tutte. Miss Acord has been heard as soloist in orchestra concerts both in the United States and Europe in Saint-Saëns’ Christmas Oratorio, Handel’s Messiah, Beethoven’s Symphony No. 9, Vaughan Williams’ Dona Nobis Pacem, Ravel’s Shehèrazade and in Fikret Amirov’s A Thousand and One Nights. Alison has received prestigious grant awards in the United States and Europe for championing the work of living composers. The International School of Performing Arts, The Recording Industries’ Music Performance Trust Fund, Grismer Fine Arts Fund, Havighurst Center for Russian and Post Studies and Doblinger Publishers Wien have all afforded her opportunities to perform and lecture on composers living and writing art song in America, Moldova, Ukraine, Latvia, Belarus, Russia, Great Britain, and Austria. A native of Houston, Texas, Alison earned her Bachelor of Music degree in Vocal Performance from Baylor University. 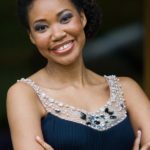 As a Corbett Scholar, Alison received the graduate degrees of Master of Music in Vocal Performance and Artist Diploma in Opera from the University of Cincinnati’s College-Conservatory of Music. 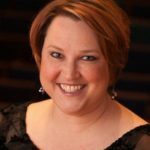 Alison’s teaching career has included University of Dayton, Cincinnati College-Conservatory of Music, and Miami University in Oxford, Ohio, where she has taught since 1999. In 2000, Alison began giving presentations for high school singers entitled Successful College Auditions. This has grown into a full-day workshop each fall at Miami known as Viva Miami! Alison’s students are highly regarded and enjoy great success. They have been heard on Broadway and in regional and international opera and musical theater venues. Many have placed as finalists and winners in a variety of local, regional and international competitions, and have regularly participated in professional summer music festivals and young artist programs. Since 2009, Alison has taught voice during the summers for the American Institute of Musical Studies in Graz, Austria, where she has also given presentations on The Singer’s Vocal Health and The Aging Voice for the Landeskrankenhaus Universitätsklinikum.